[Everyday] Psychophilosophy » Oh Snow You Didn’t! Isn’t snow beautiful? The graceful tumble of those flakes. The powdering of the ground, every dimple in the road, every lonely branch, fleeced in the serenity of that delicate alabaster wool. Yes, snow is beautiful. There’s clearly no denying that. Well, until you’re standing in it for twenty minutes waiting for the bus. Or when it clings to any part of your clothes it touches. Or when you try to stop your car to turn but end up skidding past the block you wanted. Then snow isn’t so beautiful. Okay, yea it still is, but its annoyingness overcompensates. 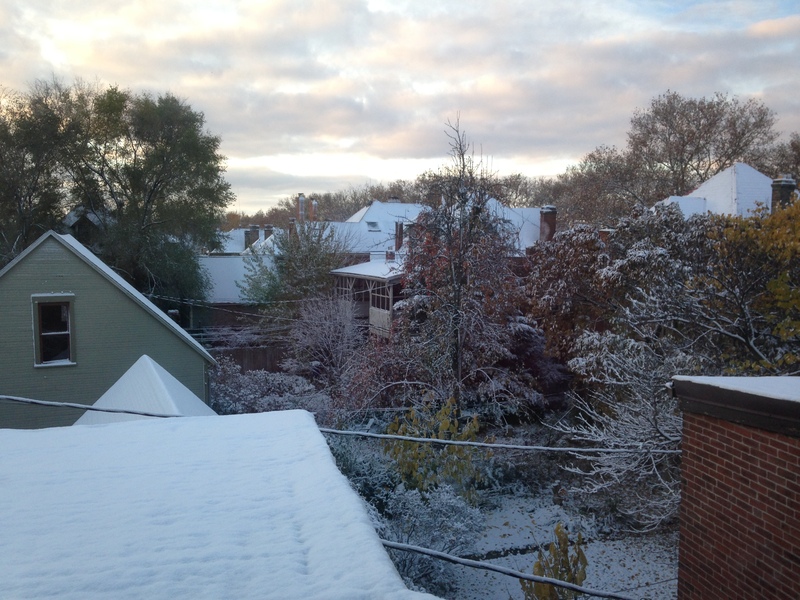 Before coming to Ohio, I didn’t realize snow in October was “an actual thing.” Unfortunately, I was mistaken. Still, that snow was sporadic and never lasted more than a day. Snow in December, however, is like Godzilla is rereleased on Columbus every day, creating traffic jams, knocking down trees, making my nose and cheeks chilly. Some people, though, love the snow–Portland people love the snow (as evident by the gajillion pictures on Facebook when you guys got half an inch). You do not love snow. You love the idea of snow just like you love the idea of seeing your high school friend after years apart. Amazingly, though, some people in Ohio love the snow and they live here. They like to get bundled up, put on the hat, the scarf, the long-sleeve shirt, the sweatshirt, the overcoat, the mittens, the reinforced jeans, the leggings, the wool socks, the boots…then sweat themselves to death once they enter a building. In truth, though, I’m starting to warm to the idea of snow (ha…ha…great pun, Jake). And eventually, who knows, maybe I’ll even come to relish that first snowfall, appreciate it for the smooth and sloping beauty it applies to all. Or more likely I’ll be cursing as I have to rip my driver-side door open and a foot of snow splatters my seat. Good one Jake. Love it! !